LINCOLN – Tressa M. Alioth, Bennington; Molly B. Keane, Elkhorn; Greg A. Ariza, Todd O. Engleman, Grant A. Forsberg, Patrick R. Guinan, Thomas K. Harmon, James M. Masteller, Michelle A. Peters, David J. Skalka, and Andrew J. Wilson, all of Omaha, have submitted applications for appointment as District Judge in the 4th Judicial District (Douglas County). 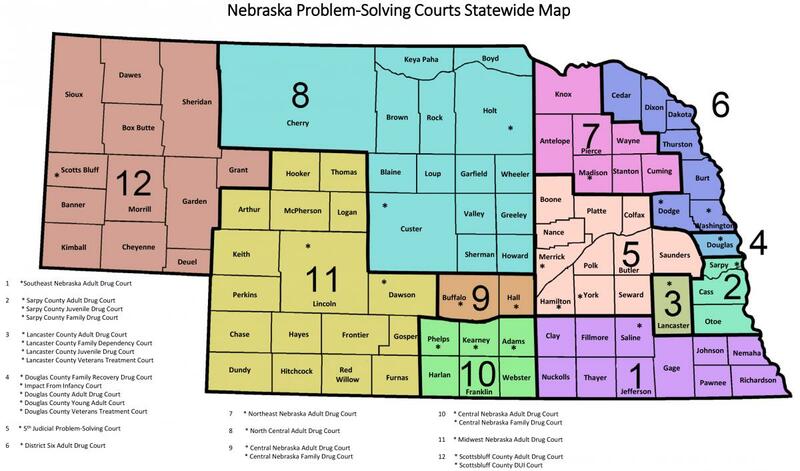 The primary place of office for the judicial vacancy is Omaha, Douglas County, Nebraska. The vacancy is due to the death of Judge W. Mark Ashford on August 1, 2018. The public hearing of the Judicial Nominating Commission will be held in the Douglas County District Court, Courtroom #412, 1701 Farnam Street, Omaha, Nebraska, beginning at 9:30 a.m. on Friday, September 28, 2018. The Commission will review all applicants for the office at that time. The public is welcome to attend the hearing and present information concerning candidates for the judicial opening. A listing of the members of the Judicial Nominating Commission can be found on the Nebraska Judicial Branch Web site at https://supremecourt.nebraska.gov/administration/committees-commissions/judicial-nominating-commission-fourth-district-district-court.